China and Japan agreed on Friday to work on improving ties and signaled willingness to put a bitter row over disputed islands on the back burner, paving the way for their leaders to meet at an Asian-Pacific summit next week. The agreement, ahead of an expected ice-breaking chat between Japanese Prime Minister Shinzo Abe and Chinese President Xi Jinping at the gathering in Beijing, signals a thaw in ties between the world’s second- and third-biggest economies. Relations have been soured over the past two years by the territorial row, regional rivalry and the bitter legacy of Japan’s wartime occupation of China. Abe said the two sides were making final arrangements for one-on-one talks, although neither he nor China’s foreign ministry confirmed that the talks were set. “Both Japan and China are coming to the view that it would benefit not just the two countries but regional stability if a summit is held,” he told a TV program. via China, Japan set aside isle row, paving way for leaders to meet | Reuters. Worldwide sales of cognac dipped in 2013 after several years of heady increases, according to new industry data. The culprit? China’s ongoing battle on corruption. The Bureau National Interprofessionnel du Cognac (BNIC), the main industry group for the fortified wine from southwestern France, said earlier this week that sales of the drink slipped 6.7% by volume and 10.2% by value during the 12-month period ending July 2014. Exports to the Far East region, which includes Southeast Asia, China and Japan, fell by about one-fifth in the past year in both volume and value, the BNIC reported. The industry group said the loss in the Far East region was directly related to a slowdown in the Chinese market, which was a large consumer of the more expensive bottles of the famed French eau de vie. China’s ongoing crackdown on corruption and excessive spending by government officials and state-owned company employees has cribbed spending on lavish entertaining – one reason some economists are predicting as much as a 1.5% dip in GDP growth this year. The weak sales results are a stark contrast from two years ago, when China was the promised land for cognac makers. Sales hit a record high in 2012 in China when the country was knocking back the special brandy, clinking glasses at banquets and karaoke bars alike. Regarded as a status drink, many Chinese imbibers often sprung for the most expensive bottles and exchanged them as gifts. The world’s most expensive bottle was auctioned in Shanghai in 2011. But the party has crashed. Owners of major cognac brands, such as Remy Cointreau SARCO.FR -0.74% (which owns Remy Martin cognac), reported a sobering 30% decline in sales during the last quarter of 2013. Cognac is hardly the lone liquor getting caught in the corruption crackdown. Sales of baijiu, China’s notoriously fiery grain alcohol, and whisky are down, too. The Chinese are still drinking, they insist, just not splurging. 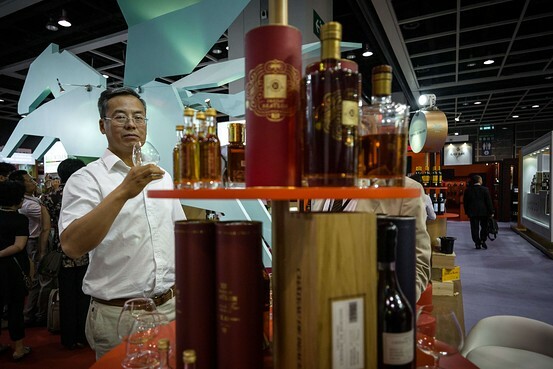 via Cognac Makers Are Feeling the Hangover from China’s Corruption Crackdown – China Real Time Report – WSJ. As Apple (AAPL) and Samsung (005930:KS) rumble for leadership in the global smartphone market, the Korean electronics giant has enjoyed a big advantage. In China and Japan, Asia’s two biggest economies, Samsung had deals with the No. 1 mobile operators to sell its handsets—and Apple didn’t. Despite years of trying, the maker of the iPhone couldn’t win over China Mobile (941:HK) or Japan’s NTT Docomo (9437:JP). The two carriers have 821 million customers combined. 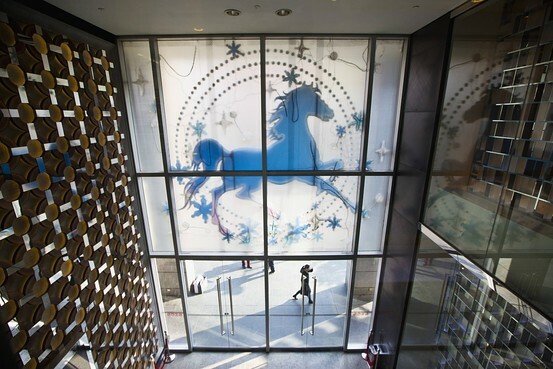 Apple’s Asia handicap may soon be a thing of the past. In Japan, Docomo began offering the iPhone in September. Meanwhile, Apple Chief Executive Officer Tim Cook’s shuttle diplomacy may be about to bear fruit in China. Although iPhones don’t work on China Mobile’s homegrown 3G standard, they do on the LTE technology the operator plans to use for its 4G service, which it will likely roll out by early 2014. The timing of Apple’s breakthroughs in Japan and China is no coincidence. Because of their longtime dominance in their home markets, neither China Mobile nor Docomo felt the need to make concessions to offer the iPhone. Yet smaller rivals, such as China Unicom and SoftBank (9984:JP), that have inked deals with Apple are capitalizing on the iPhone’s popularity to woo customers. via Apple’s Deals With Top Carriers in Japan, China May Spur iPhone Sales – Businessweek.